To test the claim that chewing gum helps to improve mental performance, psychologists in the UK studied the effect of gum chewing on both working memory and long term memory. In the study, one group of participants (chew group) chewed sugar-free spearmint gum throughout the testing procedure. Another group (sham group) imitated the chewing gum but without the gum, and a third group (quiet group) did neither. Each group underwent a series of tests, including tests for spatial memory, word memory, picture, and numeric memory. The chew group showed a significant increase over the quiet group in number of words recalled, spatial working memory, and numeric memory. For most of the tests, sham chewing scores were poorer than the quiet scores. 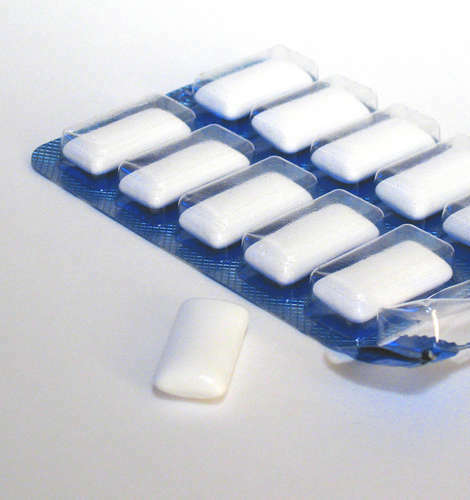 It was suggested that chewing gum might have increased blood flow to the brain.